Deer Country Quilts Spring Retreats! 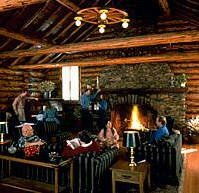 Join us at the Double Arrow Lodge in Seeley Lake, MT for 4 wonderful days of quilting! We will provide meals, ironing boards, and cutting stations--all you need to bring are your projects and machine. Swim in the pool, relax in the hot tubs, and let us pamper you! Grab a friend and sign up now as we only have a limited number of double rooms available. Total Cost: $275 Deposit: $100 is non-refundable after February 1, 2016. Balance of $175 is due on arrival. We have space for two more quilters in this retreat. We have one room that can accommodate 2 quilters. We have space for up to six quilters in this retreat. We have 2 rooms that can accommodate up to 3 quilters in each room. Don't delay! Click here to sign up now!